50″ wide 100% Polyester- beautiful rich chartreuse green- an awsome color to mix with the Turquoise or just using this color on its own. Make a adorable skirt using the matching Chartreuse and Turquoise polka dot elastic for a quick waistband can’t get much easier. 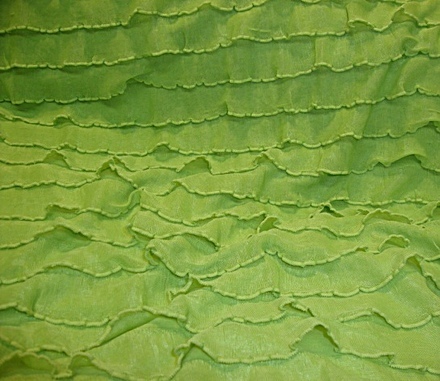 Ruffle yardage is so much fun to work gives you so many opportunity to be very creative for many fashion looks for any age.